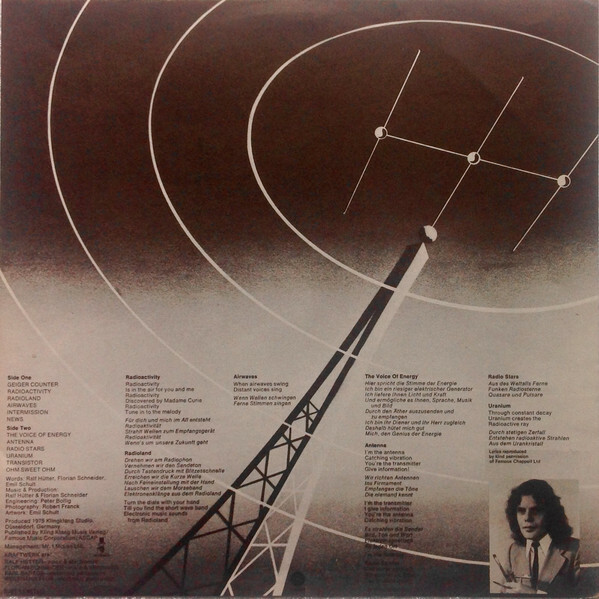 Another concept LP all about the ‘activity’ of radio. 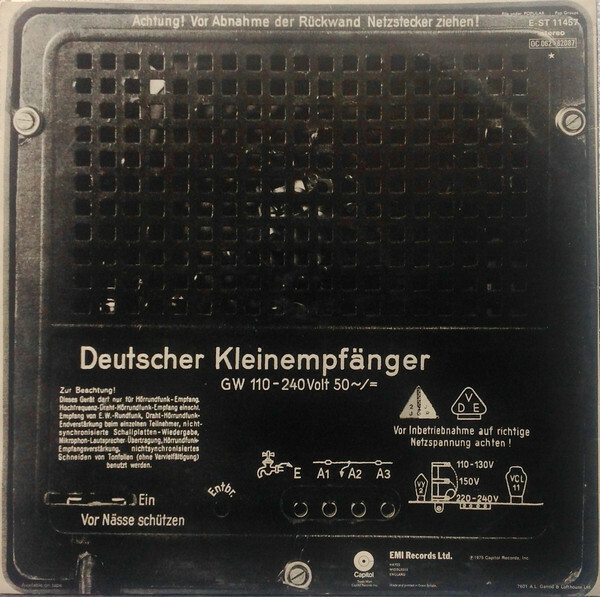 This was Kraftwerk’s first Album to reach number one. In France! The hyphenated title is an example of Kraftwerk’s tongue in cheek humour. 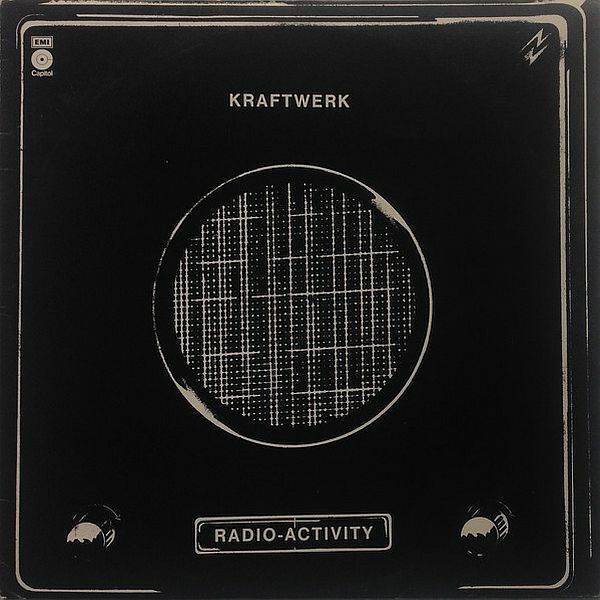 The album plays around a pun of the two themes “Radioactivity” and “Activity of the radio”. Other puns include “Ohm Sweet Ohm” and “Radio Stars” because those who just read the title could think it was to do with Pop Stars, whereas it is about space pulsars. This was the first Kraftwerk Album to be released on their own Kling Klang Verlag music publishing company, giving them much greater financial control of the musical output. 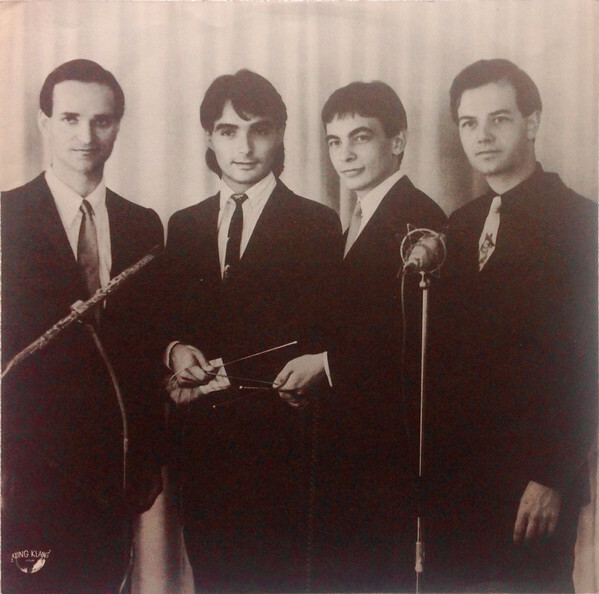 The single taken from the record, “Radioactivity” became a hit in several countries. The Voice of Energy is a track that stands out. It was the first to feature the robotic vocoder that Kraftwerk so successfully utilized to make that sound their own later on in their career. The Voice of Energy is a short track that is simply a robot reading instructions out in monotone, stupid as it sounds, it’s gripping stuff. Some people suggest that there is a strong case for Radioactivity being the first industrial album ever, and in 1975, that was rather good. Kraftwerk were riding high on the crest of Autobahn, but they didn’t rest on their laurels, instead they pushed on further, in a way they never did before or since, crafting a synth pop album around the hectic life and times of work in a nuclear power plant.